The Association for Coaching (AC) is delighted to invite you to our complimentary launch event on the East Coast, hosted by Columbia University's Coaching Center of Excellence. Join our coaching community and renowned author and international speaker, Tatiana Bachkirova, for an evening event 'Being a Professional Coach: more than just competencies’. In complex professions such as coaching, competence frameworks serve some purpose, but also suffer from limitations. In this talk, we will discuss what professional coaches, who need credentials and cannot change existing systems of assessment, can do to comply with traditional expectations but also develop beyond this to a higher level of professionalism. We are assessed at many points of our life – there is no escape. It can be very stressful and sometimes may seem unfair. An element of the subjectivity of the assessors involved in this process is inevitable but not the main issue. It is what is being assessed that is mainly problematic. Drawing on philosophical pragmatism we will explore ways to mitigate the pressures and enhance our genuine growth as professionals. This event is a complimentary event for members and non-members. 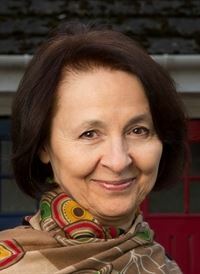 Professor Tatiana Bachkirova Tatiana Bachkirova is Professor of Coaching Psychology and Director of the International Centre for Coaching and Mentoring Studies at Oxford Brookes University, UK http://www.brookes.ac.uk/iccams/. As an academic, she teaches on postgraduate programmes and supervises PhD students. As a practitioner she supervises coaches individually and in groups, in the UK and internationally. At Oxford Brookes she also leads an internationally renowned programme of Advanced Study in Coaching Supervision and is a Convener and Chair of the International Conference in Coaching Supervision. Tatiana believes in the power of knowledge when it becomes part of the practitioner’s self and is skill fully applied in the immediacy of coaching or supervisory relationships. She looks for different opportunities to contribute to knowledge in her various roles and enjoys supporting others in developing knowledge.